The Dodgers didn’t do a lot last winter. They certainly didn’t do anything close to what I proposed a year ago. But at least they successfully reset the luxury tax to spend this winter. Well, Chad wrote about the Los Angeles Times report that the Dodgers might try to stay under the luxury tax for the next four seasons. I’m going to operate under the assumption that they wouldn’t dare do something like that after missing a championship the last two seasons. Because that would be foolish. But in turn, I’m also not going to go that crazy with the free agents and/or trades when it comes to money. The Dodgers have roughly $148.4 million committed to payroll for next season already. That’ll happen when not a ton of money comes off the books (thanks to last winter’s Charlie Culberson trade), giving an extension to the greatest pitcher of this generation in Clayton Kershaw and after Hyun-Jin Ryu accepts the $17.9 million qualifying offer. It also doesn’t include the about $38 million due to arbitration-eligible players. Still, there should be some wiggle room to remain at or maybe even under the luxury tax threshold, which is $206 million this season. And if they go over, this won’t be a $250-300 million payroll, unless they just completely throw their financial plan out the window (it worked for the Red Sox). Anyhoo, enough complaining about the payroll. Let’s get to it. These are all pretty easy tenders. The only ones I could see folks questioning are Cingrani and Garcia. We saw how good Cingrani can be when healthy, and a less than $3 million investment is worth the risk. A few of these guys could end up being trade candidates (Wood, Pederson, Taylor), as you’ll see below. Not going to miss any of these guys. Fields’ strikeout rate plummeting is troubling and makes it easier to let him go. The only thing that might save him is the fact he has an option remaining. Garcia has no options remaining, so despite being just a $900,000 gamble, it might be time to move on (or re-sign him to a minor-league deal). Goeddel, who is out of options, wasn’t healthy and didn’t really stand out much. Koehler, I’m willing to bet, will be back on a minor-league deal. If he’s healthy, the bullpen experiment for him might still work. Rosscup is a dime-a-dozen lefty who is out of options. The deadline to accept qualifying offers was a week ago. To what should be no one’s surprise, Grandal rejected the offer and is a free agent. When he signs with another team, the Dodgers will receive a compensatory draft pick between the second and third rounds of the draft (around pick 75-80, usually). Ryu, somewhat surprisingly, accepted the offer of $17.9 million. He’ll help solidify the Dodgers’ rotation. Note: Net dollars is the amount for the 2019 season only. Richards is a value signing with an eye on him coming back in 2020 and being strong. When he’s healthy, he’s an effective pitcher. He’s also a spin rate guy, which we know the Dodgers love. When he comes back, he could be a starter or reliever. I honestly think he could thrive in an Andrew Miller/Josh Hader role, provided he can handle the workload. Pay him $4 million this season to rehab, $8 million next season and give him a $12 million team option for 2021. Soria’s career comes full circle, as the Dodgers finally land the right-handed reliever. He’s coming off a solid season and, despite going into his age-35 season, he’s still a really good reliever. 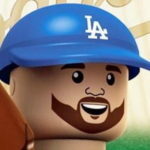 He could help fortify the bridge to Kenley Jansen for the next couple of seasons. A word about Bryce Harper: I really think the Dodgers should sign him (obviously). I just couldn’t make it work here in terms of money. If they end up having the budget for this, then it needs to happen. I don’t think the Dodgers will sign only free agents to an MLB deal, I just couldn’t justify anymore after the trades we have below. This is a bit of a challenge trade. Wood didn’t do particularly well at the end of the season out of the bullpen, and there’s no guarantee Wood would be in the starting rotation to start the season. So, they ship him and Chargois (who is out of options) to Pittsburgh for Cervelli. Here’s what I wrote about the possibility to explain why it might make sense for the Pirates. Cervelli would be a nice 1-year stopgap until Will Smith and/or Keibert Ruiz are ready. J.T. Realmuto would be the ideal pickup, but he’s going to cost a lot in trade and he’ll be coveted by many teams. This one is gonna raise some eyebrows because it’s the Giants, but they currently have a starting outfield of Chris Shaw (a first baseman), Steven Duggar and Austin Slater, so Pederson would give a nice boost there. He has two years of team control left, while Smith has one. The Giants would also get an MLB-ready pitcher in Stewart (who is out of options). 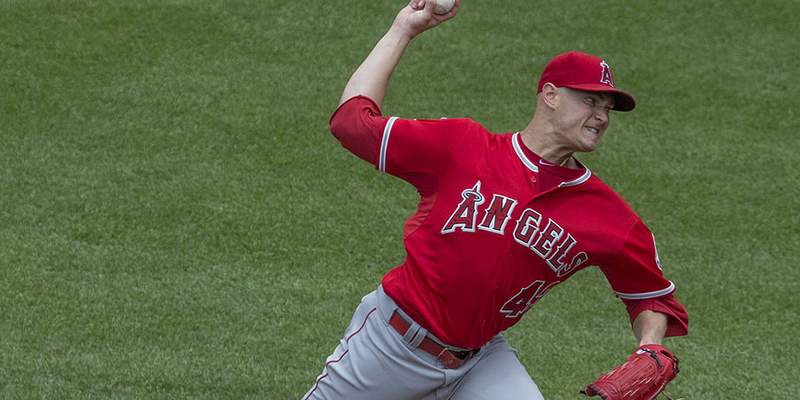 Smith had a bounce-back season after missing 2017 because of Tommy John surgery. He was one of the best relievers in the National League and the Giants would be smart to move him this offseason. He and his valuable slider would be a great fit (along with the guys mentioned in the next deal) in an attempt to strengthen the bridge to Jansen. Also, I don’t really care about trading within the division, which I’m sure most will point to. Sure, bitter rivals don’t normally make trades, but this is purely a fun (I hope), hypothetical exercise. Chad’s Note: I dunno why the Dodgers would have to give up two years of an above-average regular (PLUS a sixth starter type) for one year of a reliever that isn’t a closer type, but hey. Dustin’s rebuttal: He was a 2-win reliever in 53 innings. He’s p good. Here’s the big one. The Mariners have talked about going into a full rebuild, and if they do, the Dodgers might be able to capitalize on that. This is not only an opportunity to shore up second base for the foreseeable future, but also allows for bullpen improvement and allows for Kemp’s roster spot to be opened up. Colome is making $7.3 million in arbitration, while Segura is set to make $14.25 million in 2019 (and 2020-22). You can read more about the details in a post from last week. The biggest obstacle is Segura’s no-trade clause. It’s a full clause and he would have to agree to waive it for the Dodgers (or any team) to acquire him. His 2023 option for $17 million (or $1 million buyout) isn’t guaranteed, but I also don’t think the Dodgers would guarantee that option for him to waive the clause. Maybe there’s some kind of easily attainable incentive they could offer or some kind of signing bonus deal that would persuade him to waive his NTC. We’ll see. There’s also a chance Segura plays more shortstop than expected because we still don’t know how Corey Seager will be after his return from Tommy John surgery. This make sense for the Mariners because they offload some money while getting a premium prospect in Lux, who could step in at shortstop as soon as 2020. They’d be getting a massive power prospect in Peters, who will help bolster the M’s farm system. They’d also be getting Stripling, who could slide into the starting rotation to replace the soon-to-be-traded James Paxton. Farmer could very well see plenty of action behind the plate for them. Uceta is an interesting, young pitcher who could shoot up the Mariners’ prospect rankings in the coming seasons. Kemp could fill the designated hitter void left by Nelson Cruz (who isn’t likely to return). My crude, sloppy math puts the payroll at $184.45 million after these moves (and not much different luxury tax/competitive balance-wise). I’m sure that number isn’t 100 percent accurate. Not landing Harper hurts, but it made it a lot easier to keep the payroll down, which might be a thing again this year. Sigh. With the acquisition of Segura and the infusion of Verdugo in what should be an everyday role, this would allow Hernandez and Taylor to be true utility players and not be forced into everyday roles. That should only increase their value. It also guards against any regression with Muncy and could help make up for any offensive deficiencies behind the plate. There’s still a ton of versatility up and down the lineup. I will say, this bullpen — on paper — looks tough. There are nasty options from both sides and there’s plenty of swing-and-miss in the lot. There are at least two (and probably three) options to fill in for Jansen if he gets hurt or needs a bit of a rest. It also pushes some guys who still have options to the minors, which means more quality call-ups later in the season. I mean, doesn’t Floro just feel better as a 6th- or 7th-inning guy as opposed to an 8th-inning guy? Urias will be in the MLB rotation before season’s end, but he’s still coming back from the shoulder surgery and didn’t pitch anywhere near a starter’s workload in his return. He should get some work at Oklahoma City to build up his stamina. Alvarez, Jackson, Joe, Rios, Ruiz and Sborz were the guys I added to the 40-man roster. Jackson was a late addition after clearing a couple spots with the trades above. Gale is the defacto No. 3 catcher, should the need arise. Santana is on the comeback trail and could factor in big-time later in the season. Toles will be the first man up from the minors when the Dodgers need a bat. Venditte probably doesn’t last the winter, but he did in this timeline. In this scenario, the 40-man roster is at 39 players, but will be at 38 after Richards is placed on the 60-day disabled list. That leaves three spots for spring surprises on the NRI/MiLB signee front. This is not the plan I had envisioned once the offseason started. I had Harper penned into this long before finishing it. I’m sure a signing could happen, but I am a bit concerned about the payroll and the team not using its spending as an advantage. But we’ll really freak out about that if/when that time comes. As it stands, the team listed above seems really strong and destined for a seventh consecutive NL West title. There’s a lot of good depth, and the addition of Segura and Verdugo to the everyday lineup brings some much-needed (quality) contact skills to a lineup that hadn’t made that a priority. The pitching depth is still there while not having spent big-time money on free agents. All in all, for a team without Harper, I think it turned out pretty well.